Businesses that supply their customers with knives should also have knife sharpeners for sale. At Blue Ridge Knives, we can help you keep wholesale handheld and chef’s choice knife sharpeners in stock in your retail store or on your retail website. By establishing your company as a Blue Ridge Knives dealer, you can get access to the best knife sharpeners at the most affordable dealer prices. Blue Ridge Knives can provide retail store owners, website operators, and others with wholesale handheld and chef’s choice sharpeners from a variety of trusted brand names. We’re “Your One Stop Worldwide Wholesale Distributor” of products from AccuSharp, DMT, Eze-Lap, Fiskars, Hewlett, Lansky, Warthog, Arkansas Stones, Smith’s, Norton, Buck, Sentry Solutions, and Spyderco. You can browse through the sharpeners we have available in our monthly sales catalog once you send us a copy of your state-issued resale license. Outside of offering businesses a large selection of wholesale handheld and chef’s choice sharpeners, Blue Ridge Knives also has many maintenance and polishing accessories in our inventory. From chamois, honing oil, and Super Polish to polishing clothes, Rust Erasers, and Tuf Glide or Tuf Cloths, you can get what you need from Blue Ridge Knives. 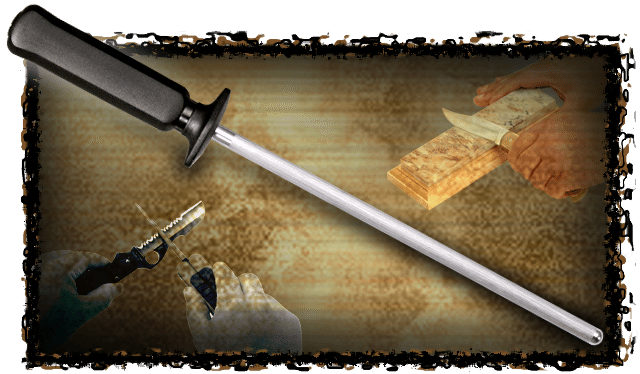 Reach out to us at 276-783-6143 to inquire about using us as your knife sharpener distributor.